Boxing Tin Signs There are 9 products. In our Retro Metal Signs Shop we stock collection of Vintage Boxing metal tin signs. Our collection of vintage boxing decorative metal signs includes Boxing Champions like Muhammad Ali, Rocky Marciano , Mike Tyson vintage tin signs and many other metal advertising signs that can easily be fitted on the wall. Manufactured from top quality aluminum that ensures years-long durability and great look in any place in your home , club , pub or boxing gym . 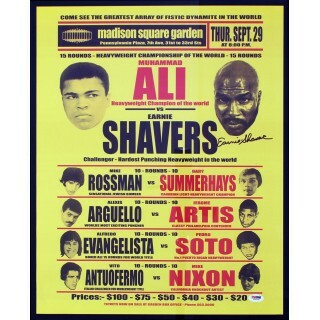 In this section you will find selection of Boxing Championship metal tin sign posters . manufactured from top quality aluminum will look grate in any pub , bar , gym or man cave . Grab bargain great opportunity to make fantastic gift or ad this unique fantastic rare metal sign to your collection . 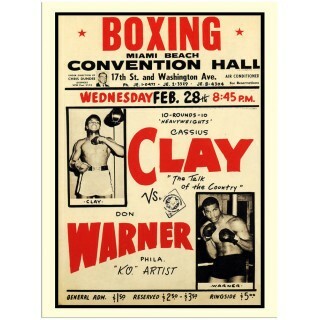 In this section you will find selection of Boxing Memorabilia metal tin sign posters . manufactured from top quality aluminum will look grate in any pub , bar , gym or man cave . Grab bargain great opportunity to make fantastic gift or ad this unique fantastic rare metal sign to your collection . 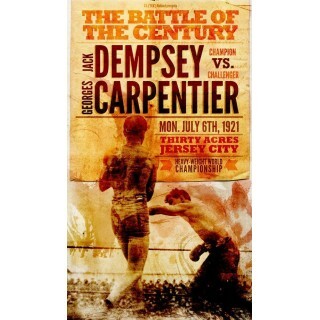 Dempsey vs Carpenter 1921 metal sign This uniquely designed boxing metal sign is manufactured from top quality metal which guarantees long time durability and classic look. This retro metal tin sign is an excellent addition to any pub,bar, boxing gym or man cave . Grab bargain unique rare boxing championship metal tin sign poster . 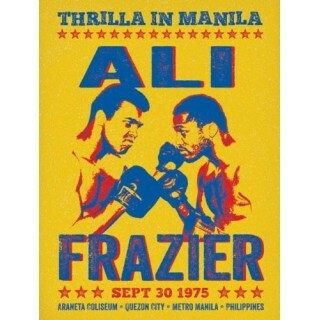 Frazier vs Ali 1975 Championship metal sign This uniquely designed boxing metal sign is manufactured from top quality metal which guarantees long time durability and classic look. This retro metal tin sign is an excellent addition to any pub,bar, boxing gym or man cave . Grab bargain unique rare boxing championship metal tin sign poster . 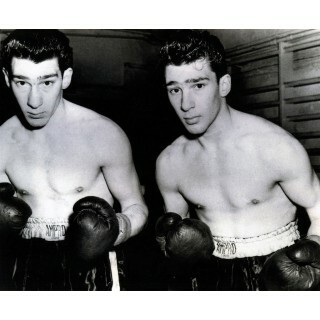 Kray Twins Gangland boxing metal sign This uniquely designed boxing metal sign is manufactured from top quality metal which guarantees long time durability and classic look. This retro metal tin sign is an excellent addition to any pub,bar, boxing gym or man cave . Grab bargain unique rare boxing championship metal tin sign poster . Rocky Marciano boxing metal sign This uniquely designed boxing metal sign is manufactured from top quality metal which guarantees long time durability and classic look. This retro metal tin sign is an excellent addition to any pub,bar, boxing gym or man cave . Grab bargain unique rare boxing championship metal tin sign poster . Cassius Clay vs Don Warner Championship metal sign This uniquely designed boxing metal sign is manufactured from top quality metal which guarantees long time durability and classic look. This retro metal tin sign is an excellent addition to any pub,bar, boxing gym or man cave . Grab bargain unique rare boxing championship metal tin sign poster . Muhamad Ali vs Earnie Shavers Championship metal sign This uniquely designed boxing metal sign is manufactured from top quality metal which guarantees long time durability and classic look. This retro metal tin sign is an excellent addition to any pub,bar, boxing gym or man cave . Grab bargain unique rare boxing championship metal tin sign poster . 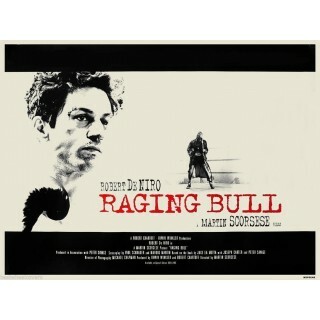 Raging Bull movie film metal sign This uniquely designed Raging Bull movie film vintage metal sign is manufactured from top quality metal which guarantees long time durability and classic look. Manufactured with intentional scratches and having rusted edges this retro metal tin sign is an excellent addition to any pub,bar, restaurant or man cave. 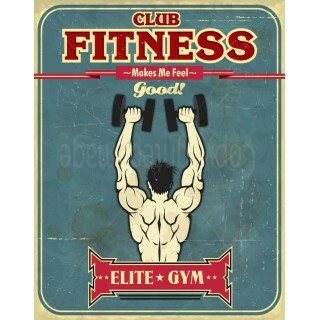 Elite Gym metal sign This uniquely designed Elite Gym metal sign is manufactured from top quality metal which guarantees long time durability and classic look. This retro metal tin sign is an excellent addition to any pub,bar, boxing gym or man cave . Grab bargain unique rare boxing championship metal tin sign poster . 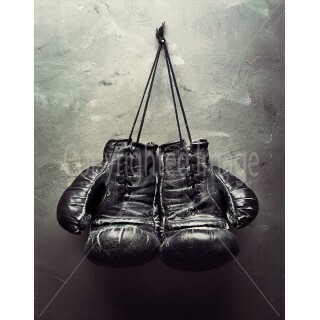 Boxing Gloves boxing metal sign This uniquely designed boxing metal sign is manufactured from top quality metal which guarantees long time durability and classic look. This retro metal tin sign is an excellent addition to any pub,bar, boxing gym or man cave . Grab bargain unique rare boxing championship metal tin sign poster . 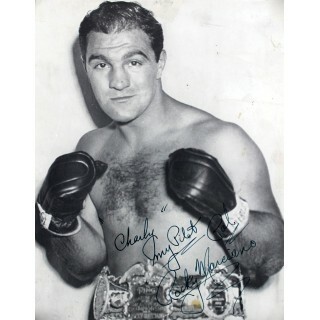 In our Retro Metal Signs Shop we stock collection of Vintage Boxing metal tin signs. Our collection of vintage boxing decorative metal signs includes Boxing Champions like Muhammad Ali, Rocky Marciano , Mike Tyson vintage tin signs and many other metal advertising signs that can easily be fitted on the wall. Manufactured from top quality aluminum that ensures years-long durability and great look in any place in your home or office.